You might think we’re a bit early on this one, but at Magnet Forensics we’re going to take Movember to a whole new level this year. If you’re not familiar with Movember, you may want to head over here and get a rundown of the history of it. Movember started in Australia between a group of people who wanted to (somewhat jokingly) bring the moustache back into style. The next year they started getting people to grow mo’s for causes. Now people participate in Movember to raise awareness for men’s health, and it’s bigger than ever. 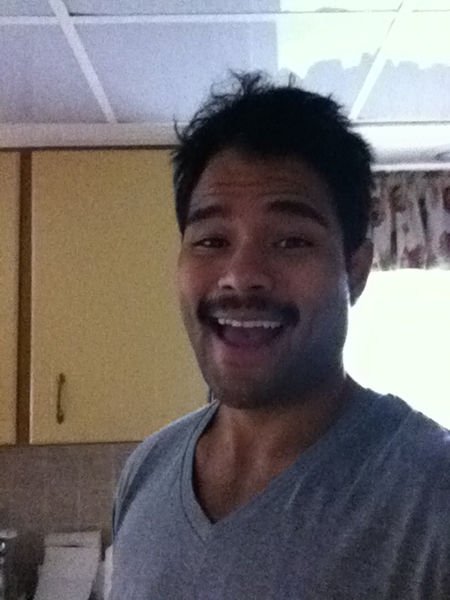 Matthew “The Chang” “Changarang” Chang sporting a well-groomed black moustache. Although it’s a standard ‘stache, the care put into keeping this beauty mo in tip-top shape is obvious. Can he do it again for this Movember? Cameron Sapp showing off a rock solid handle bar mo. 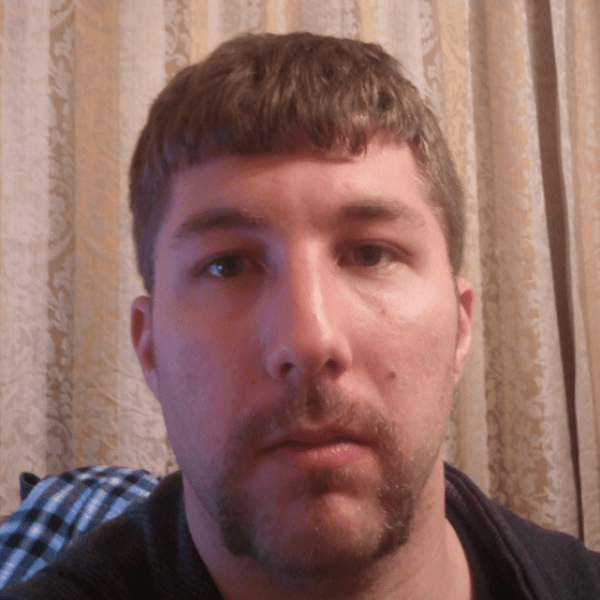 The bars on this ‘stache are so impressive that it almost gives the illusion that this mo is taller than it is wide. Wait… is it?! Check out the MoMagnets page and keep track of us! Please contribute what you can to help raise awareness for men’s health. Python, Visual Studio, and C#… So. Sweet. : First one on the list this week is the post I put out on Monday about using Python, C#, and Visual Studio all together. It’s definitely for the developers out there, but for those of you who aren’t programmers, it’s still interesting to see how PyTools and IronPython have bridged a gap between C# and Visual Studio. I was pretty happy with the number of people who responded on social media and thought that it was a good read. The tweets actually led me to find a related post by Scott Hanselman from earlier this year (that I wish I saw sooner). My article has also received some pretty good visibility at Code Project which I’m excited about. Feel free to check it out over there too (people seem more likely to engage in discussion at Code Project versus on my blog)! Want To Build A Business? Lead With Trust: David Hassell wrote an article that really hit home with me. Having a successful business means crafting a team and culture built upon trust. It needs to be the foundation of your team. Having high levels of trust makes everything else in the business come together more easily, but lacking trust can really make everything fall apart. Teams need to trust their leaders, and leaders need to trust their team members–it goes both ways. Confidence ‘boosts pupils’ academic success: I thought this article was a great find. It’s primarily around research that’s shown confidence plays a big role in students’ success, but I believe it applies outside of the realm of formal education. As a leader or mentor, I think it’s incredibly important to instill confidence. You want your team members to know you trust them with what they’re doing. They need to know they can make mistakes and learn without having to be punished for doing so. Having that confidence is going to be what makes them successful. Leadership Lessons From LEGO: What do leadership and Lego have in common? A whole lot according to John Kotter. Consider innovation (get creative with those bricks! ), overcoming challenges (can’t find that piece you were looking for? ), team work (building things with friends is way more fun), and quality (it’s as good as you make it). It was an unexpected article for me to stumble upon, but I thought the parallels were interesting! The Four Most Powerful Lessons in Management: Joel Peterson has some great points on being a successful leader or manager. Among them, putting actions behind your words, bring the right people on board (noticing a trend with having the right people yet? ), and having a meaningful mission. What is a Thought Leader? : I found myself asking this question at one point, which is why I wanted to share Daniel Tunkelang‘s article. It seems straight forward really. It’s important to have an area of expertise in the ideas you want to share, and it’s important that the things you’re sharing have meaning. In my case with Dev Leader, I certainly haven’t mastered leadership and programming, but I’m sharing the ideas that I’m hoping will some day get me there. 17 Things You Should Never Say to Your Boss: This was definitely a great read. At first, I started thinking “How could anyone in their right mind say these things to their boss”? But then I realized I had actually heard some of these things (or similar things) and it really got me thinking. Dave Kerpen has put together a great list, and although it’s humourous, it’s still something important to watch out for. Just in it for the money? Not your role? Some people need to get a grip or find something else to do in their career. Why These Happiness “Boosters” Might Actually Make You Feel Worse: Gretchen Rubin shares some ideas on why certain things we do to make us happier may actually be counter-productive. One interesting one I thought was the idea of your attitude shaping your behaviour may actually be your behaviour shaping your attitude. On weekends I often hang around in a pair of shorts until I have to head out of my condo. If I got in the habit of being prepped to leave the house and be productive from the beginning of the day, would I find that I’m actually more productive? Worth trying! What Makes Developers Really Great: Deane Barker shares his experience with a software developer that was giving off some bad vibes. So what’s a good developer? Is it just someone who can code? Do they need to know all the latest and best languages, dream in code, and have four computer science degrees? It certainly helps (and I don’t think many would dismiss it), but the one thing that’s really important is their attitude and ability to work in their team. Check out the comments on that blog post. If you’re working on a team and you can’t fit in the team, you’ll bring the whole team down. This means if you’re all soft skills and no hard skills, you can’t contribute squat. If you’re all hard skills and no soft skills, you’re going to be a road block to your team. You need to have both to be a really great developer. Remember to check out the MoMagnets page! We’d really appreciate it. Follow Dev Leader on social media outlets to get these updates through the week.